Have you ever wondered what it really takes to implement genomics on your dairy? 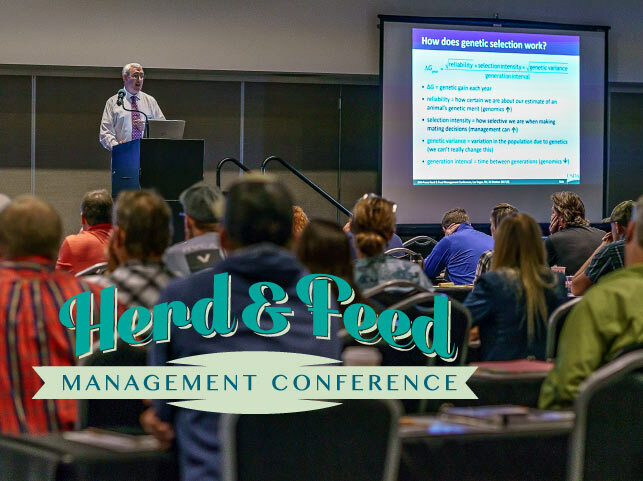 At the Amelicor Herd and Feed Management Conference Dr. John B. Cole came and spoke to producers from around the country about how genetics affect dairy profitability. The question his presentation really helped me understand is how genetics helps farm production and how it relates to herd management practices. In the last 15 years, there have been more genetic traits observed and tracked than in the previous 100 years—which has greatly advanced dairy productivity. One study I recently read, talked about how excluding low-ranking cows from producing calves is one of the most effective ways to improve the herd overall. This seems pretty obvious, however without genetics it's hard to do this accurately because there are too many variables with an animals pedigree. Dr. Cole gave an example showing how an animal's pedigree might have information on 7 daughters. But, by adding genomic information to the equation, it adds the equivalent of an additional 32 daughters. If you are trying to decide which heifers will be low producing this is the way to increase accuracy. One interesting fact Dr. Cole gave (considering all the advances in genetics) is that since 1957 half of the increase in production has been due to genetics and the other half is due to better management practices. Another interesting point showed a measure of the variation between two factors (such as having clinical mastitis or not), and the relationship between the genetic trait and the environmental factors. The genetic traits that were identified as performance enhancers among certain breeds of cattle were only a small percentage of the variation - overall. The relationship with environmental factors showed that herd management is just as important as the genetic traits of an animal. 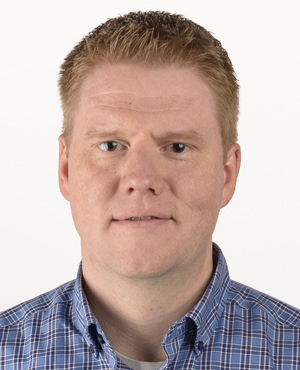 I recently interview Jordan Leak from the Aardema Dairy Group in Idaho, he emphasized this fact by saying, "without good management, you'll never be able to reach the genetic potential of every individual cow in your care." The important takeaway from Dr. Cole's presentation is that for populations to get better over time, deliberate decisions have to be made for steady improvements. To improve requires action on our part, such as collecting information about why certain decisions are made on the farm each day. The data collected in the right way, will help management understand what goes on from day to day and will create training opportunities. Better trained employees or engaged employees feel like they are part of the business and help manage the herd more effectively. Everything that can be measured has the potential to be important. In the last 10 years, we have added a number of data points to our databases because of new discoveries in the genetic code. As the farms track this new information we can all use it to make better decisions. The beauty about tracking genomic data is that, as Dr. Cole said, "as genetics are improved, the changes don't go away." If you make progress on your farm through better management decisions - you don't get the same benefit if you stop. But with genetic improvement, you never lose your work. So what does that mean? The relationship between tracking information and managing a farm is significant. The best way to improve productivity and increase profitability is by tracking data, understanding what it means, evaluating decisions, then apply what you learned and start over. One last takeaway—you are not alone. Today in the dairy industry, where everyone else is tracking the same data, we can share new information to help one another improve. Developing and improving genetics is a task that takes each one of us, and results in making all of our jobs easier. And best of all—the improvements made don't go away.